Far too little has been done over the years to sustain the performance of control valves once they go into operation, despite widespread agreement on the impact that valves have on process efficiency. Rather than considering control valves as assets to be preserved, too many plants treat them as liabilities — frequently replacing critical valves during shutdown for no reason other than length of service. As a result, millions of dollars have been wasted and perfectly good control valves often have been discarded. This happens largely because chemical processors historically have had little knowledge of their control valves’ condition. 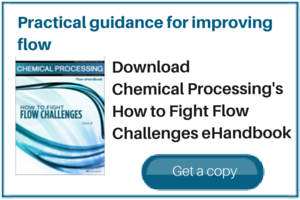 For example, more than half of the valves in some 7,000 profit-critical control loops audited in refining and petrochemical plants by Emerson Process Management were delivering poor performance. Plant personnel didn’t know how to optimize those under-performing valves and had no idea how much they were costing the overall operation. However, a benchmarking study conducted by Monsanto and 11 other chemical companies  showed that improvements to final control elements could reduce the cost of goods sold by 1.5% which meant an additional $15 million return annually on average to each of the plants studied. Another study , performed by Solomon Associates at more than 100 olefin plants in North America, found that overall plant reliability was best in plants that had the highest level of working, effective process control. The loss of production due to reliability issues ranged from 2% of plant capacity in the best facility to about 16% in the worst plants. If you are searching for a way to reduce costs by improving the efficiency of your process, it’s time to start thinking of control valves as assets to be preserved <em dash>—<em dash> and to begin maintaining them accordingly. It’s as simple as this: process efficiency and reliability are influenced by control valve performance, and sustaining good valve performance can be achieved through predictive maintenance. An ARC study  reported that “the cost of performing predictive maintenance on valves can be up to five times less expensive than preventive maintenance and 10 times less expensive than corrective maintenance, even before the costs of downtime are figured in.” There’s little wonder that “best cost companies” are increasing their reliance on predictive maintenance. Some companies are even achieving proactive maintenance, which builds on predictive monitoring to identify and eliminate the root cause(s) of maintenance problems. The road to an effective predictive maintenance program for your control valves can be bumpy. However, common errors can be avoided through a combination of strong leadership, technology and training. Leadership is easily the most important factor. Every successful application of predictive maintenance to control valves has rested upon a strong leader or champion inside the company. This person (or sometimes a small group) is committed to the pursuit of excellence, deeply involved in selecting a new approach and insistent on comprehensive training. The leader plays a key role in keeping efforts on course and, so, needs to have the authority to implement the needed changes. The quest begins with recognizing the need for change and developing a vision for an improved maintenance plan. A review and understanding of current work practices will help you determine what changes are necessary. The vision created should clearly define what you are going to do that’s different. Focus your initial efforts on critical problem valves where predictive technologies deliver the biggest payback. For example, a pilot program at the ChevronTexaco Refinery in El Segundo, Calif., targeted 103 critical valves and saved the company nearly $275,000 in one year, including $90,000 from improving the performance of just one steam control valve. That pilot program is now being expanded to cover much more of the huge refinery. Identify key implementation resources. You need to address the impact of new technology on plant personnel, especially the maintenance staff. Questions such as “what does this mean to me (or to my job)” will be on the mind of those involved with using the new technology. The early involvement of key individuals results in a much quicker buy-in and acceptance of changes to be implemented later. Establish measurements and use them. Benchmarks are essential for showing progress and communicating success/importance, but they don’t need to be complicated. They might include before and after monitoring of the number of reactive work orders in a particular process area, charting overall process uptime versus maintenance hours spent, or tracking overall maintenance hours required in a particular area. Publicize results throughout the organization. Communication, especially with measurement data, is critical for gaining additional support and ongoing success. Revisit the vision to ensure that the maintenance program is meeting stated objectives. After review of early results at a Canadian chemical plant, the initial plan for data collection was modified to provide full-time monitoring and faster diagnosis of about 30 critical valves. Predictive intelligence gathered in this way has driven control valve maintenance costs lower for each of the last three years. With the advent of microprocessor-based valve instrumentation and sensor technology, the health of control valve assemblies became much more visible. Data collected by the valve provide never-before-available diagnostics (see sidebar), which many plants have used to improve their processes. Today, advanced “smart valve technology” utilizing digital valve controllers coupled with communications protocols like HART and Foundation Fieldbus enable technicians to remotely examine operating control valves and obtain field-generated diagnostics. A smart control valve not only lets maintenance personnel know if its operation is below par, but often signals what’s wrong and what’s needed for a fix. These new predictive diagnostics are on-line, in-service and do not intrude on the process. Traditional distributed control environments often are unable to collect data concerning the health and well-being of critical process equipment. The integration of smart control valve diagnostics into today’s plant control systems changes what’s possible. With smart field instrumentation, multiple on-board sensors coupled with communications allow process control equipment to be evaluated on a real-time basis. The root cause of problems can frequently be identified much earlier. Digital valve controllers used with control valve assemblies monitor valve health. Detection of a condition with the potential to affect control causes an early predictive warning, which can be used to avoid an unplanned shutdown or to schedule maintenance activity on that valve. An error report indicates a fault that is affecting the process and that may require immediate action. The diagnostics are preconfigured to collect and correlate the data, establish the cause of a problem, and recommend specific corrective action. This is information rather than just data that is often critical to keeping that valve in operation. Every critical control valve should be equipped with a digital valve controller that is capable of in-service diagnostics. It is important to select a digital instrument that has multiple sensors and analysis software. This allows plant personnel to evaluate current valve operation and get precise information for forecasting performance. This is the foundation of predictive maintenance. Good tools are not enough. Indeed, technology without training almost always fails to deliver optimum results. Make sure to provide adequate training to employees who want to learn. You also must deal with those who are simply unwilling, because of fear of the unknown, concern about being replaced or some other reason. Locally devised training on specific technologies is seldom effective. Without question, the best training for predictive control-valve maintenance comes from professional trainers provided by the technology vendor. They know the system, have access to the latest field experiences, and are skilled in presenting technical material so that plant personnel can understand the principles and learn how to apply them. Vendors offer training at their locations or can provide customized courses on-site. The training program should address the fundamentals of control valve operation, calibration, and maintenance based on the latest diagnostic and analytical tools. Classroom instruction needs to be supported by a maximum amount of hands-on experience. Trainees should learn how to interact with each control valve through its digital valve controller, how to analyze the data, and what can be done to improve the performance of that valve. Adequate training fosters more-efficient and more-consistent efforts. For example, a trained person can calibrate a digital valve in about one-fourth the time needed to calibrate a conventional one, and all technicians will perform that task in exactly the same way. Using predictive maintenance for control valves is a proven way to improve process reliability and reduce overall maintenance costs. Success depends upon effective efforts in three areas — leadership, technology and training. If you invest in one or two but not all three, chances are you will never be able to fully optimize your process. You can leverage predictive valve-maintenance technology with other predictive programs, such as condition monitoring of rotational equipment, for greater overall benefits. In addition, many existing asset-management systems easily support the integration of all field-based intelligent devices into a predictive maintenance methodology. Achieving an effective predictive maintenance program opens the door to a truly proactive maintenance system. The detailed equipment information available from today’s online, in-service control valve diagnostics provides the foundation needed for the identification and elimination of the root causes of problems before they impact process control. Coupled with the information coming from other smart field devices, a proactive asset-management system can be established that supports world class process performance and reliability by truly minimizing overall maintenance costs. Neal Rinehart is Director of Performance Technologies for Fisher valve and instrument products at Emerson Process Management, Marshalltown, Iowa. E-mail him at neal.rinehart@emersonprocess.com. “New industry solutions set to change the game,” <ital>World View<end ital>, Vol. 4, No. 1, p. 1 (Jan. 1997). Birchfield, G., “Olefin plant reliability,” available on-line at www.aspentech.com (Jan. 1, 2000). Chin, W., “Emerging instrumentation trends and impact of plant asset management,” presented at the 61st Instrumentation Symposium for the Process Industries, Texas A&M University, College Station, Texas (Jan. 26, 2006). Smart diagnostics continue to evolve and today offer more-sophisticated and more-powerful tools for predictive maintenance than those available just a few years ago. First-generation smart diagnostics could only be used on an out-of-service valve. They were limited to tests such as valve signature (for information on assembly friction, bench set, spring rate and seat load), dynamic error band (combined hysteresis, deadband and dynamic error) and step response (to a change in input signal). All require interpretation of data by a skilled technician. In contrast, today’s technology enables fault detection and analysis while the valve is in normal operation — online and in service. And, thanks to the development of valve instrumentation that has multiple on-board sensors and advanced data analysis software, a new level of valve performance information is available. In addition, the diagnostics not only collect data, but also analyze the cause of a fault and suggest how best to remedy it. Now, more than 200 different problems that impact the <ital>dynamic<end ital> performance of control valves can be detected and evaluated on the most-advanced digital valve controller. Some of the problems addressed include instrument air leakage; valve assembly friction; process dead band or resolution; packing failure; actuator diaphragm failure; piston actuator seal-ring failure; instrument air quality (cleanliness or “droop”); poor connections (air, electrical, communication); filter plugging; incorrect bench-set; supply pressure restrictions; travel deviation; process “build-up” on the valve trim; travel deviation; valve sticking at temperature and pressure: and valve assembly calibration. In addition, online, in-service safety checks, including partial stroke testing of safety valves, can be performed.